Stream long Awaited Fatima Yamaha's - Araya Ep coming on Dekmantel Records! Pure mastery ! - Track? !D. 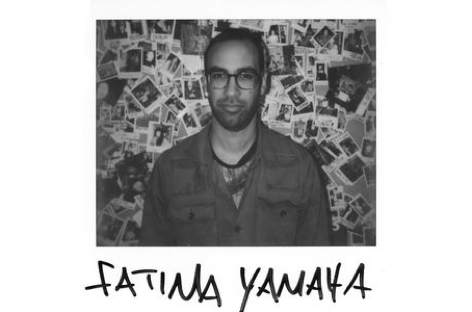 Home » Dekmantel » Feel Privileged » Geo Myros » Slider » Updates » Stream long Awaited Fatima Yamaha's - Araya Ep coming on Dekmantel Records! Pure mastery ! Stream long Awaited Fatima Yamaha's - Araya Ep coming on Dekmantel Records! Pure mastery ! The title track ‘Araya’ is the absolute eye catcher of this EP. Already tested in Fatima Yamaha’s highly anticipated live-sets in the last months, with great response, ‘Araya’ is a dramatic curtain raiser that only he can make. Next to that, Bron effectively spills his keen ear for melody on the A-side with his typical electro-funk with ‘Piayes Beach Bar And Grill’. On the flip crystalline synth drops, a classic piano and skipping drums are the main ingredients for ‘Romantic Bureaucracy’.